The most precise exfoliation and facial hair removal method using controlled strokes of a medical instrument. This quick and painless procedure gently lifts dead skin cells and baby fine vellus hair (“peach fuzz”) leaving your skin soft and smooth. The skilled hand of a highly trained medical aesthetician, uses a sterile surgical scalpel to gently shave away fine vellus facial hairs while at the same time performing a deep exfoliation of the stratum corneum, lifting away dead skin buildup. This quick and painless procedure also improves the absorption of products, heightening their efficacy and creates the perfect canvas for makeup application. 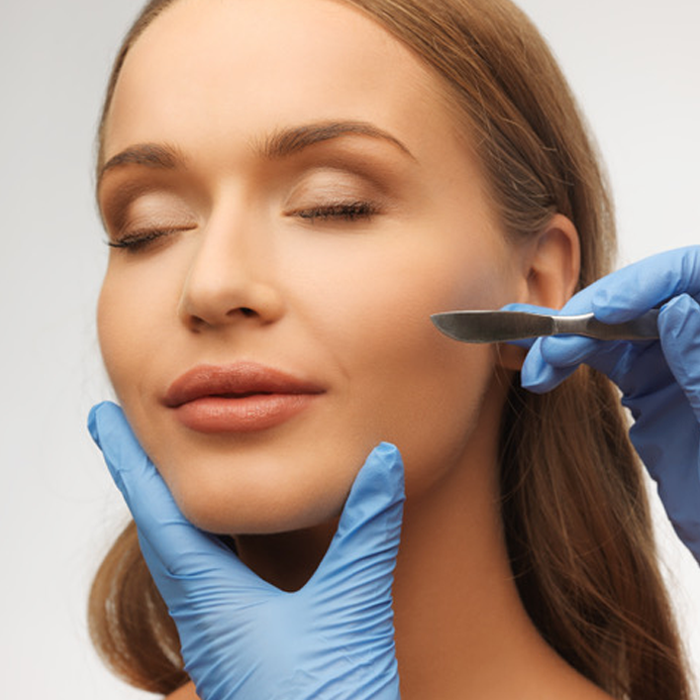 Dermaplaning is a favourite among actresses, models and brides because of how flawless and smooth the skin appears for photographs, as well as for any patients looking for the most gentle facial hair removal technique available. Targets the hairs so fine or so light in colour that traditional waxing or laser hair removal cannot treat them. No downtime, no irritation and no pulling of the skin with this method, therefore it’s great for all skin types, even the most sensitive and can be performed on its own or in addition to other skin care procedures. 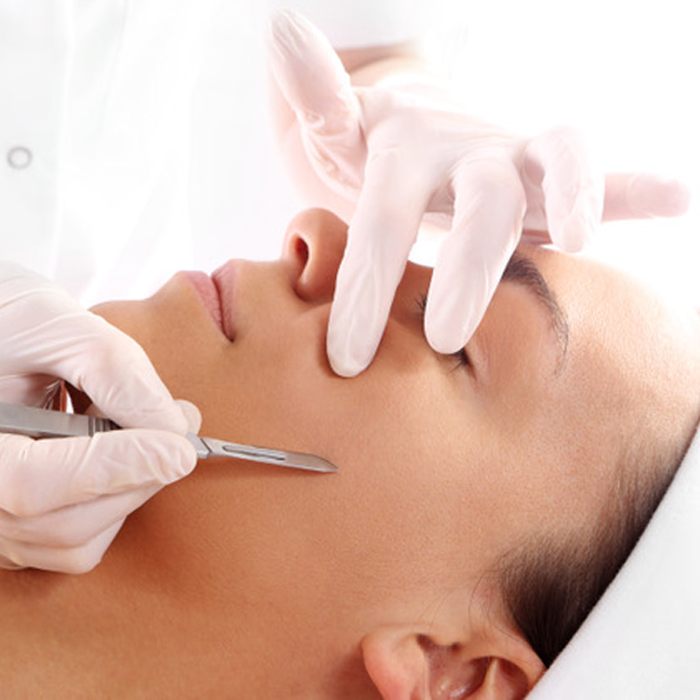 The skilled hand of a highly trained medical aesthetician uses a sterile surgical scalpel to gently shave away fine vellus facial hairs while at the same time performing a deep exfoliation of the stratum corneum, lifting away dead skin buildup. The peach-fuzz on your face is actually “ vellus hair” which differs from the “terminal hairs” on other areas of the body which grow thick, long and dark. When shaved off, vellus hairs will not regrow darker, thicker or longer. They will regrow just as the same peach fuzz they always were. The result is baby soft and smooth skin, a wonderful canvas for skincare and makeup application. Last about 4 weeks and many patients combine it with their monthly facials for a deeper exfoliation and skin smoothing benefits!